You could read this as "If a div is the child of a div with the class container apply these styles". The > signifies is a child of. 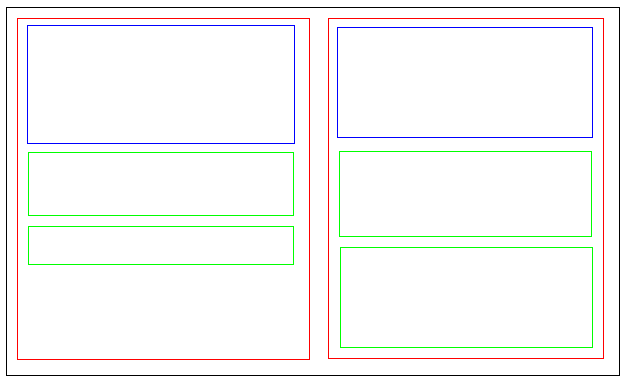 Using the example from the previous page container is the class given to the two red divs. This style rule set will apply to all child div elements of those. Another way of saying that could be that these styles apply to any div which is anywhere inside the container div. You should now have three top-level, parent div elements. The first is empty. The other two have a div inside (a child each) and yet another div inside that (descendants - nested div elements are common in Web design). Inside each div place some text (just before any div which is inside them). The easiest would be to copy the ID value for each one so you know which is which. Most of the styles are just to make it look clear. The last two selectors are what matters. They are the difference between styling children (the last one) and all descendants (the one before). Inside container1 both div elements have blue borders. Inside container2 only the direct child has a cyan border. The div inside that does not have a cyan border as it is a child of a child. Instead it reverts to the black styling applied to all div elements at the top. The numbering of the div elements allows you to add more children meaning each child would have siblings. That will be covered later!